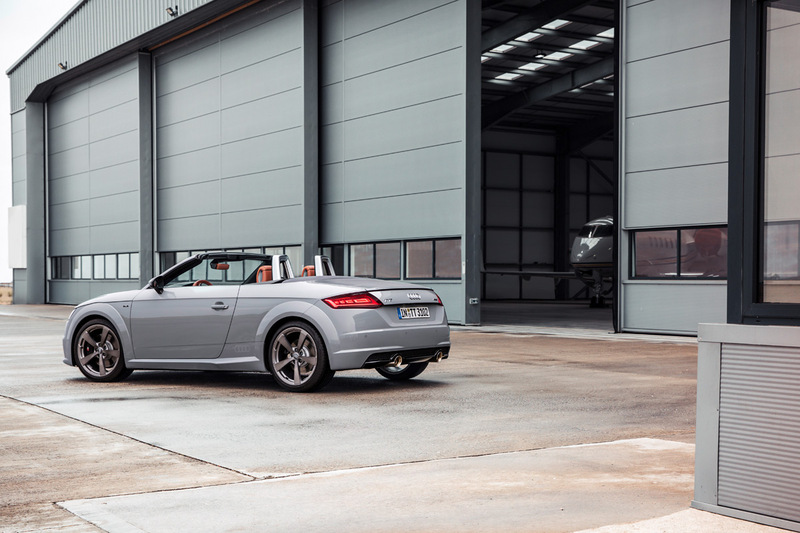 When the Audi TT first came out in the late 90’s, it was a show stopper, with futuristic styling, a stunning interior, and unique design details throughout. Perhaps most memorable for me was the “baseball stitching” along the backside of the seats, a unique touch that I had never seen before (or again). 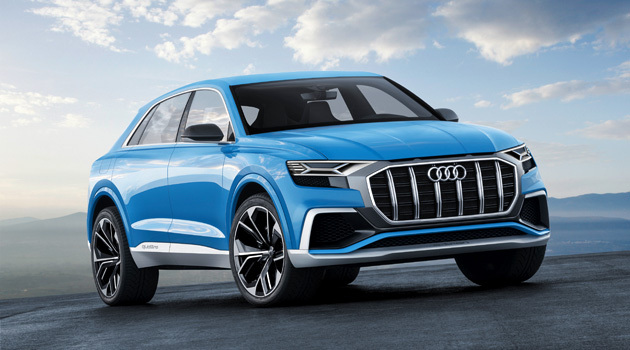 Over the past 20 years, a lot of that personality was lost/removed from the TT, but now Audi is bringing some of that back as they pay homage to the original with the introduction of the aptly named Audi TT 20th Anniversary Edition. 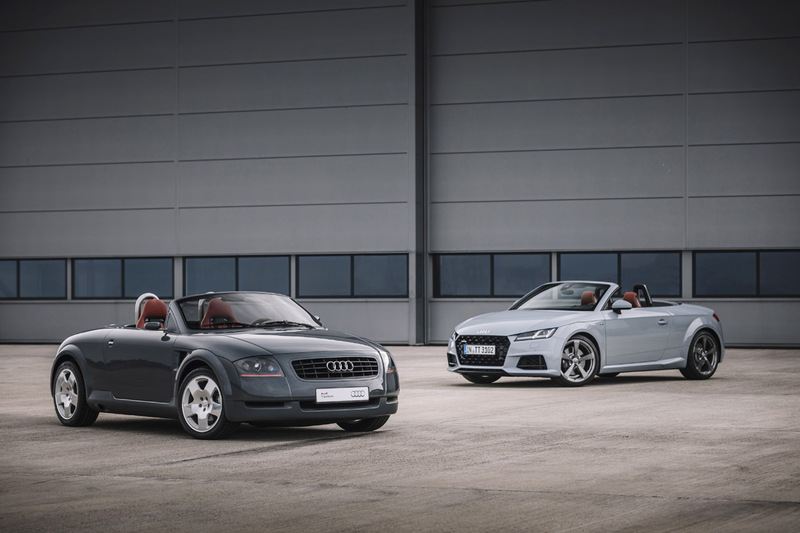 Available in limited numbers, the Audi TT 20th Anniversary Edition features unique design elements that celebrate the heritage of the Audi TT and embody the model’s transcendent design. 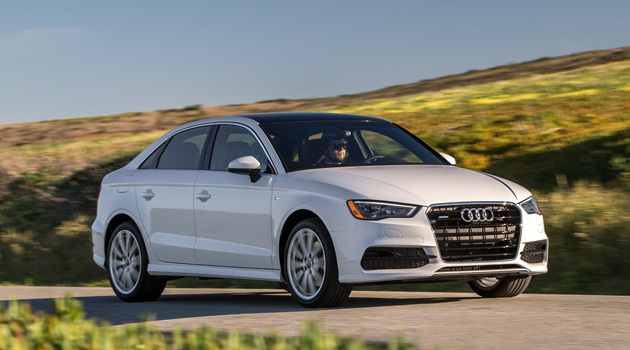 The limited 20th Anniversary Edition is available in coupe and roadster body style, painted in either Aviator Gray pearl effect or Nimbus Gray metallic. A nod to the original TT, all cars feature Moccasin Brown Fine Nappa leather with custom yellow contrast stitching. In addition to exclusive exterior paint colors, the TT 20th Anniversary Edition features high-gloss black exterior trim elements and unique 19 inch 5-arm-design gunmetal wheels with summer tires. 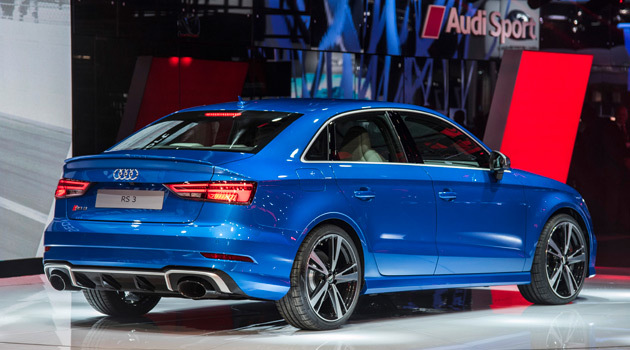 A trumpet-style stainless steel exhaust is exclusive to the model, accompanied by OLED taillights currently only available on the TT RS. 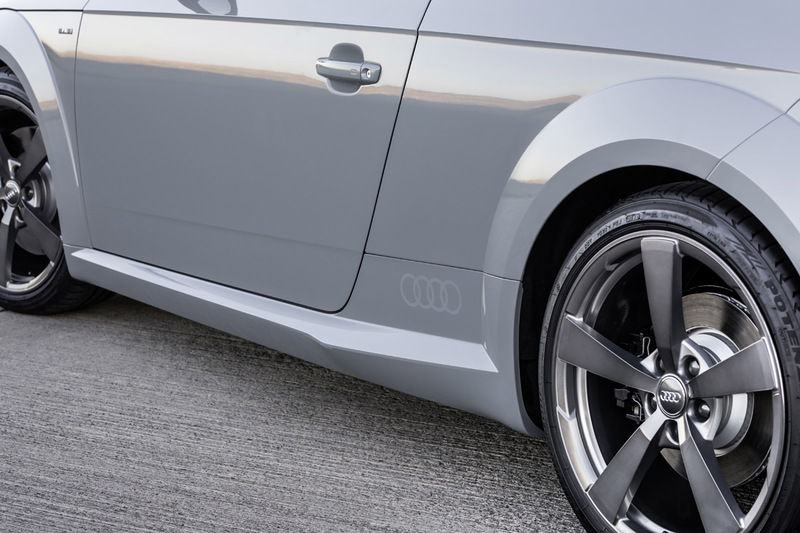 “20 Years of TT” badges adorn the front fenders, with matte finish Audi rings subtly etched into the rear sills. Inside, the S Sport seats, door armrests, steering wheel, and center console are all wrapped in Mocassin Brown Fine Nappa leather finished with bespoke yellow contrast stitching; a modern interpretation of the distinguished “baseball” stitching from the original TT. Interior badges denoting the vehicle’s unique production number alongside a “TT 20 Years” icon mark the vehicle’s exclusive status. 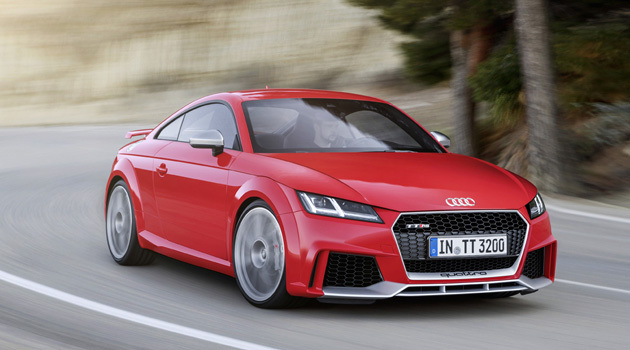 The Audi TT 20th Anniversary Edition features a 2.0 liter four-cylinder turbocharged engine with 228 horsepower and a standard 7-speed S tronic dual-clutch transmission. 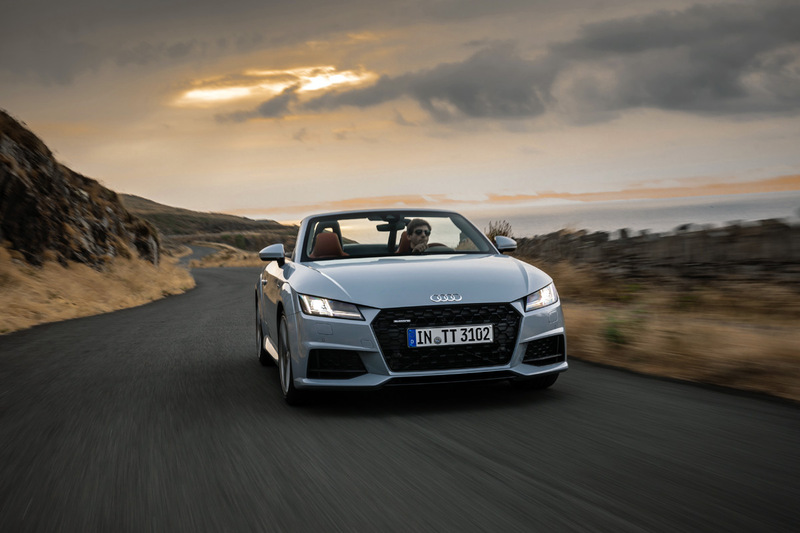 The coupe sprints from 0-60 mph in 5.2 seconds, while the roadster does it in 5.5 seconds. 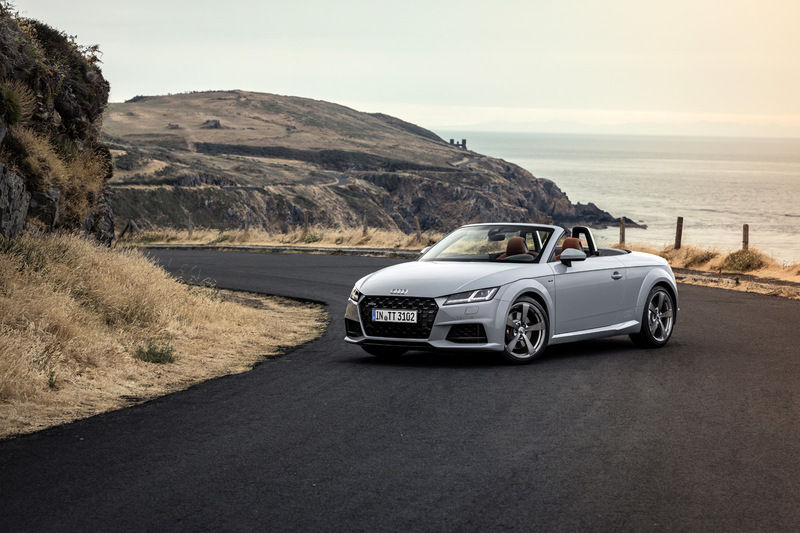 All TT 20th Anniversary Edition models come equipped with the Technology package, which includes Audi virtual cockpit, MMI navigation plus, Audi smartphone integration (with Apple CarPlay and Android Auto), Bang & Olufsen Sound System, and Audi side assist. 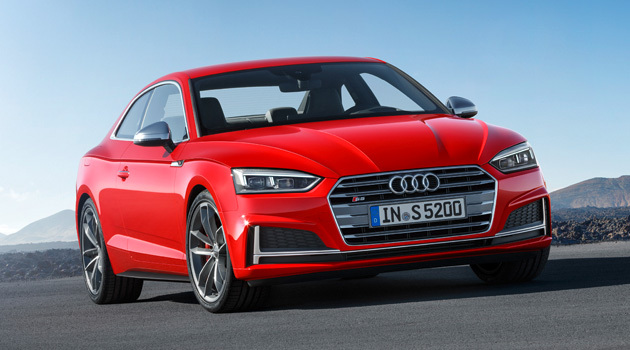 Pricing for the Audi TT 20th Anniversary Edition starts at $52,900 for the coupe, and $56,800 for the roadster, and they’re available for purchase now.